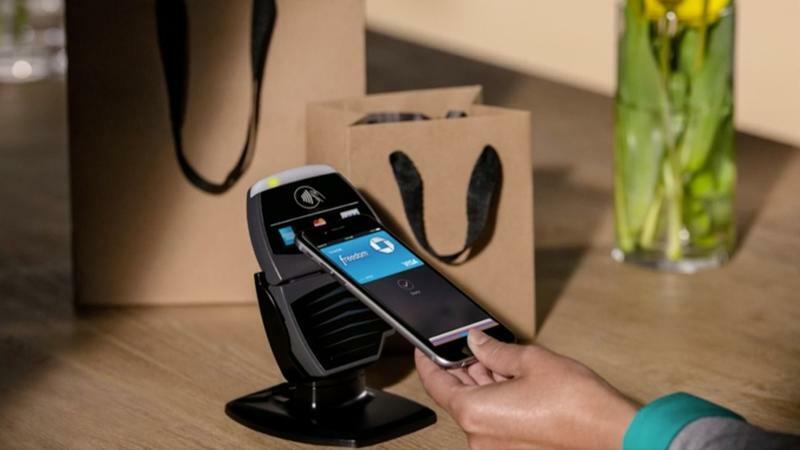 When Apple Pay rolls out in October, Apple will get an "unprecedented" cut of purchases for facilitating the transactions, according to a report from the Financial Times. Sources close to Apple's plans say the iPhone maker will get "15 cents of a $100 purchase," giving Apple a very lucrative revenue stream going forward. Apple Pay is a new mobile payment system that uses NFC and Touch ID for security, and allows users to make purchases at participating locations without using their card or cash; it only works with the iPhone 6 and iPhone 6 Plus, but seeing as how Apple is already seeing record-breaking interest, that's plenty of potential for the new system. A lot of retailers already do or will accept contactless payments, and Apple has partnered with banks to set up the initiative to be a success. In fact, that cut indicates just how much banks wanted to be involved. The Financial Times said many bank chief executives fawned over working with Apple, calling it an "exciting move." We've seen other companies take a crack at the mobile wallet, but Apple's method, along with the deals worked out by the executive team, promises to make Apple Pay ubiquitous. We won't begin to see just how big of an impact Apple Pay will have on the market until it begins rolling out in October. That is if you can even find an iPhone 6.